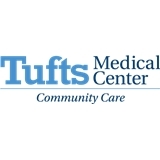 Tufts MC Community Care - Melrose (Melrose) - Book Appointment Online! Dr. Tillmanns is a knowledgable and kind doctor. Her office staff are fantastic and organized!